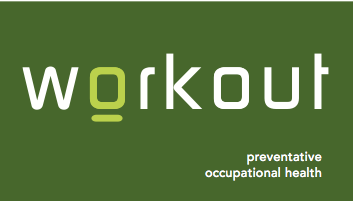 Workout Preventative Occupational Health Service was developed and founded by Sarah Clark, in 2005. The drive of this specialized service is to focus on occupational health from a proactive, preventative perspective, rather than rehabilitation following injury. Services are based on the philosophy of ‘Participatory Ergonomics’. Current research indicates that high and effective levels of consultation, active participation in skill based learning and problem solving are efficient methods for training staff. Sarah Clark, the Founding Principal of Workout has designed and written the various online courses in Manual Handling Risk Management and Office Ergonomics. Sarah has worked in the occupational health industry for 27 years, providing workplace assessment and training services to a broad variety of industries. She uses her skills to provide a practical, cost effective service, using current research findings, extensive knowledge and years of practice to know what works! Sarah is a fully Registered Occupational Therapist with AHPRA, fulfils continuing education requirements and is a Member of the Human Factors & Ergonomics Society. On completion of all online courses, participants are required to successfully accomplish full marks in a knowledge-based assessment with provision of a Certificate of Course Completion. All the participants in worksite-based training are required to complete a Training Feedback Form, to enable Sarah to continually improve the quality of service provision. Training Co-ordinators purchasing the online courses, are randomly requested for verbal feedback, to enable Sarah to meet Quality Assurance benchmarks.